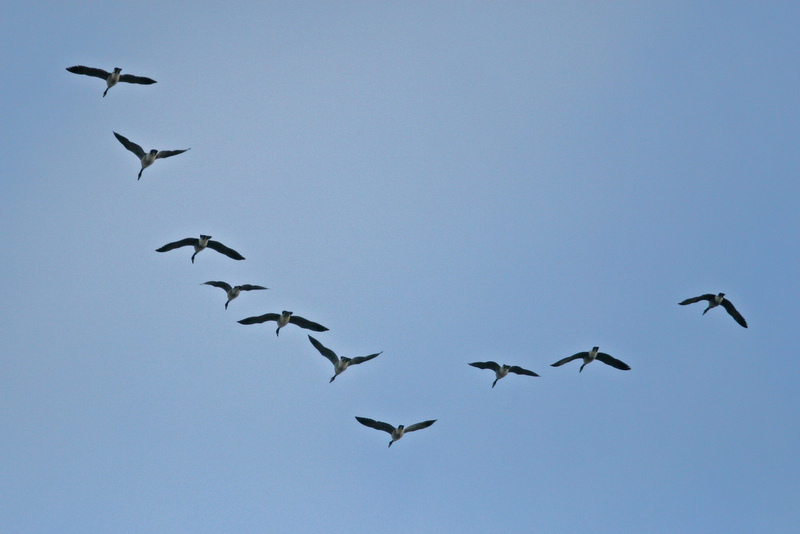 Do you remember the first time you took note of a flock of birds slipstreaming? And someone explained the way they fly aerodynamically and take turns to head up the V-shape and be carried along by the strength of their fellows? Nature is smart. We can learn a lot from it. No one wants to end up in a job they dislike, but many do. No one wants to be an island either, as a little internal survey we did revealed. At WooThemes, we are determined to make sure everyone in our team is flourishing, growing and enjoying what they give themselves to each day. We recently asked what it was folks enjoyed most about working for Woo. The Motivation Trifecta, plus one? We all derive a level of satisfaction from having a sense of freedom, being productive and doing work that matters and it is not rocket science to equate autonomy, mastery, and purpose to overall workplace happiness. But we believe there is something more that leads to a happy working environment and at Woo, the Motivation Trifecta plays out in the all important context of our highly-functioning and carefully chosen team. WooThemes started with three people passionate about WordPress working in different corners of the world. Mark and Magnus met in the flesh for the first time over a year after starting a company together, and the level of trust, flexibility and ability to do great work oceans apart is part of our DNA. The very best people for the job are not frequently found on the doorstep, it begs the question of how many times geographical constraints have capped possibility. With roots in remote working relationships, Woo has been very intentionally set up to be an international company we’re in the fortunate position of being able to recruit irrespective of geography and timezone. Our company would fall apart if we didn’t put a strong emphasis on the importance of communication. We can’t tap someone on the shoulder, wander over to their desk, or shout from across the office when we’re stuck. An internal P2 (we use our own Houston theme). Here we share important news, ask questions, celebrate birthdays and pass on feedback. 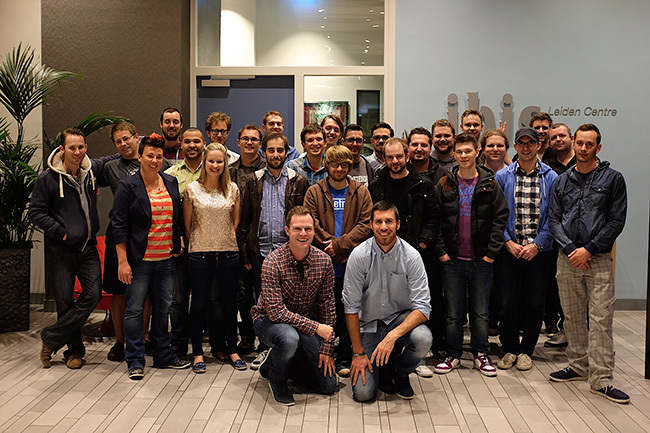 HipChat – Anybody can ask anyone else a question, and we have dedicated rooms for each team. iDoneThis – At the end of each day we log what we’ve been up to. 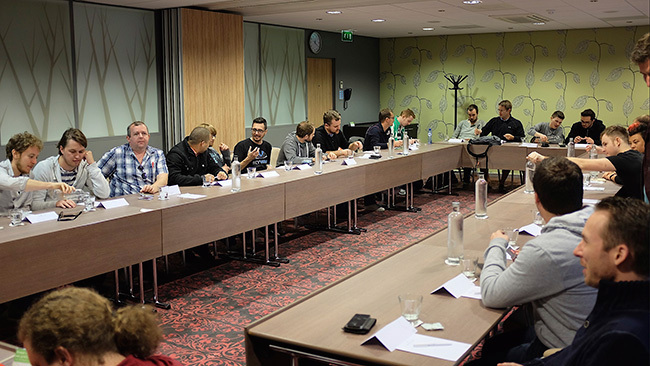 We’ve recently started a Town Hall meeting with the entire team – this generally happens every 3 months. When a new team member joins, we organise a company-wide hangout to get to know our new team member a little better. We also use Know Your Company to ask them to what they’re working at the beginning of each week. We also find out a little more with some of the questions we ask. Last week we found out a few team members had the McGyver Mullet growing up. When everyone’s coming into the office, its easy to give feedback on a daily basis and pick up on team morale. Working remotely doesn’t offer you that luxury, and yearly reviews aren’t enough to give feedback. We’ve followed Buffer’s lead when giving feedback and mentorship. We do these has often as each team member would like. For almost anyone on the team, work is just a few feet away. Its almost too easy to power up in the morning and work through the day without getting out, exercising, socializing, or doing anything other than work. The entire team is sent a Fitbit when joining – this alone won’t give you work / life balance. But it’s a great way for each team member to be conscious of their activity, sleep and diet. And so we can laugh at each other’s step-counts. We’ve made sure that everything that can possibly be documented has been. We love remote working, but there’s nothing like getting the team together to meet-up, shake hands, share meals and have a drink together. 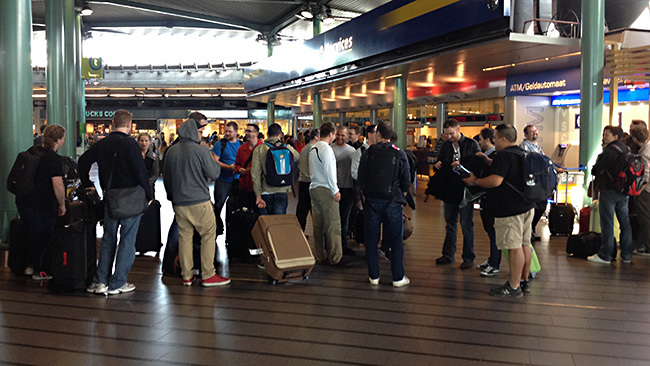 Once a year we do a company-wide meet-up – this year we’ll be in San Francisco. We’ve also started team meet-ups for any Woo people in similar areas. This year, the North American contingent got together in Chicago. It seems, people today are looking for freedom and flexibility, but still want to contribute to something meaningful and successful. And that when this is achieved with a spirit of teamwork, the magic happens. How do you (or your team) make remote working awesome? We’d love to hear.